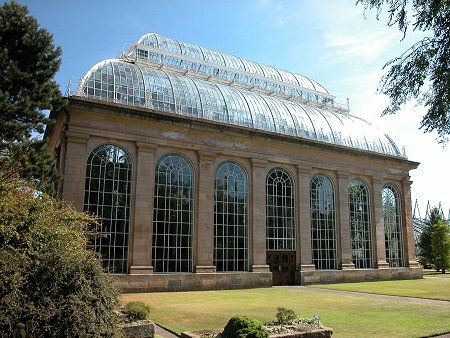 The Royal Botanic Garden Edinburgh, known locally as the "Botanics", is a must-see element of any visit to Edinburgh, whatever the time of year. Located about a mile north of the heart of Edinburgh, its 31 hectare site forms a remarkable haven of tranquility within the city, as well as being home to a world-renowned centre of botanical science. As a visitor you can approach the garden on many different levels. Some simply regard it as an exceptionally well managed and manicured public park, somewhere to come for a break from the more urban feel of much of the city; somewhere to come between one evening's exploration of Edinburgh's pubs and clubs and the next; somewhere to unwind and plan your next foray into the melée of the Fringe; or somewhere to come and wonder at the sheer beauty and diversity of nature, and perhaps feed the squirrels. Tip: the shop by the West Gate isn't allowed to sell "squirrel food". You buy "bird food", which the squirrels apparently find very acceptable. For others, the Botanics is a hugely important player in the worldwide network seeking to ensure that bio-diversity isn't still further eroded. 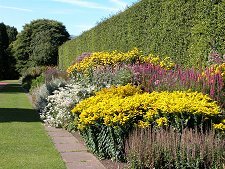 Nearly 34,000 plants are grown at the Botanics in Edinburgh or its three specialised gardens in other parts of Scotland: Dawyck Botanic Garden near Peebles, Benmore Botanic Garden near Dunoon and Logan Botanic Garden south of Stranraer. 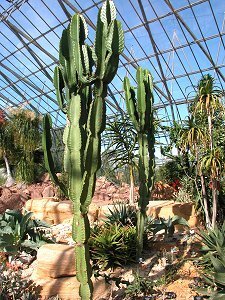 The plants grown at the Botanics represent nearly 17,000 different species from all over the world, or about 7% of all known plant species. And people travel to Scotland from all over the world to see them, to appreciate them, and to learn about them. 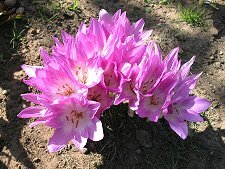 What you normally see on a visit to the Botanics is only part of the story. 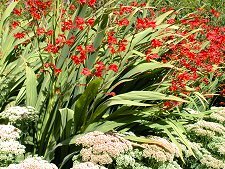 Behind the scenes lays one of the world's leading botanical research establishments. 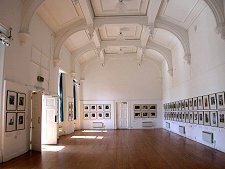 The herbarium, a collection of preserved plants dating back to 1697, contains over two million specimens. There is also a 100,000 book botanical library on site. For the visitor the experience begins at either the main West Gate on Arboretum Place or the smaller East Gate on Inverleith Row. Entry is free, but remember that maintaining what you are enjoying isn't: so if you can support them via their shop or a donation, you should. The Botanics is approximately square in shape and surrounds Inverleith House. The overall appearance is of a fairly heavily wooded park, surrounded by a dense hedge and railings. The north east corner is taken up by the science, research and administration buildings, and by the remarkable Glasshouses. The Temperate Palm House is the highest example of its kind in Britain and is over 150 years old. New flooring and plant beds have been fitted during recent restoration work and this has opened out the House to give visitors a real taste of the size and beauty of the building. The Temperate Palm House is due to re-open to the public on 19 March 2005 and will be the starting point for the new "Windows on the World" experience. 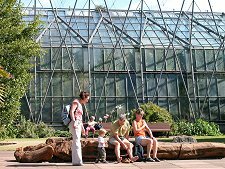 Visitors will be able to walk through the new Glasshouses with an interactive audio wand that will give information on every plant as described by the Botanics' own experts. Elsewhere in the garden... well, your best bet is to purchase the excellent guidebook complete with its fold-out map. 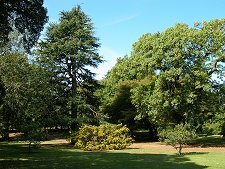 But highlights include the woodland garden with its grove of Sierra Redwoods planted in the 1920s; the spectacular Rock Garden; the Alpine House and courtyard; and the Pringle Chinese Collection. 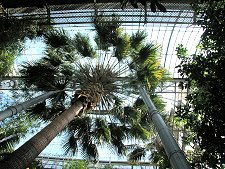 The Botanics is home to the world's largest collection of Chinese plants outside China itself. Visitor facilities are clustered around the West Gate, which has a shop, and a snack bar open in Summer, and in the centre of the Botanics. 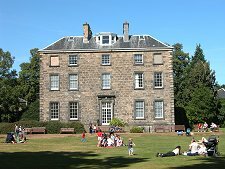 Here you find Inverleith House, used for exhibitions and lectures. Nearby is the Terrace Cafe, offering good value refreshment and great views south to Edinburgh Castle. 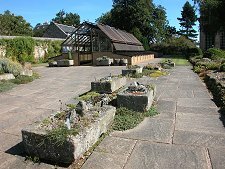 The Botanics can date its development back as far as 1670 when a physic garden (so named because it was used to train physicians in herbal remedies) was founded at Holyrood. In 1676 a second area under what is now Platform 11 of Edinburgh's Waverley Station was added. In 1763 the two came together at a site beyond Edinburgh's then notorious pollution in Leith. 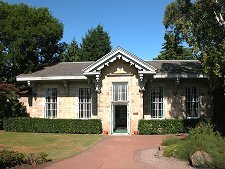 Between 1820 and 1823 the Botanics moved again, to part of the current site, which it steadily expanded by acquisition over the following 50 years.